Google Play Store today updated several of its Android apps and games, making them available for all Android device users for free. Give away free premium paid Android apps and games normally cost range $0.99 – $4.99 to purchase for enjoy full features. The highlight Android apps – GPS Speed which function to assist in track vehicle speed, distance, time, and location. 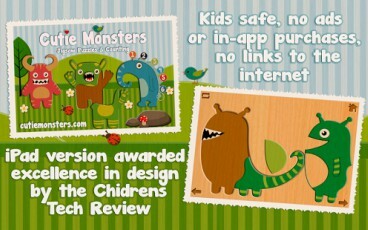 Another highlight Android apps – Cutie Monsters, is an education apps designed specifically for toddlers or pre-schoolers who are learning to count. The app brings simple jigsaw puzzles along with an interactive counting book to introduce the numbers 1 through to numbers 10. To enjoy this free give away Android apps and games, click on the links below to download & install Android apps and games.